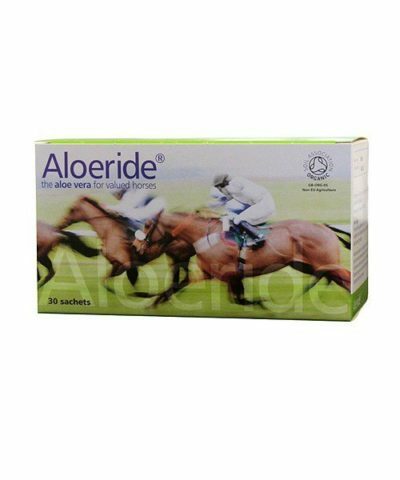 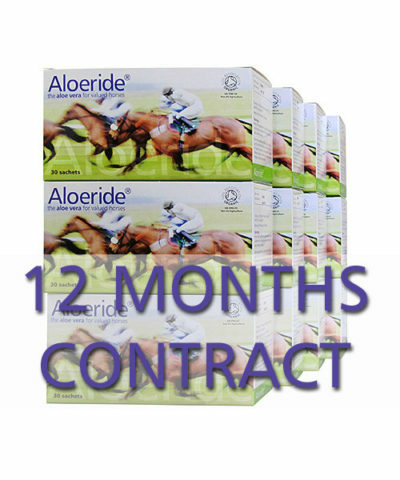 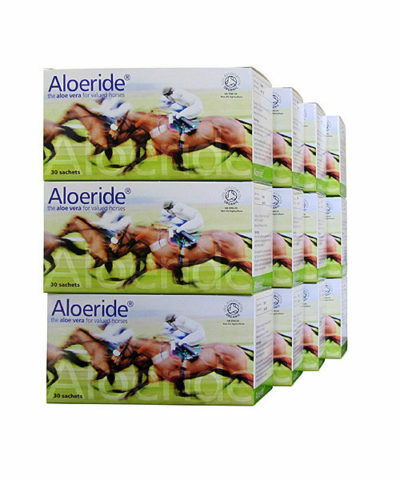 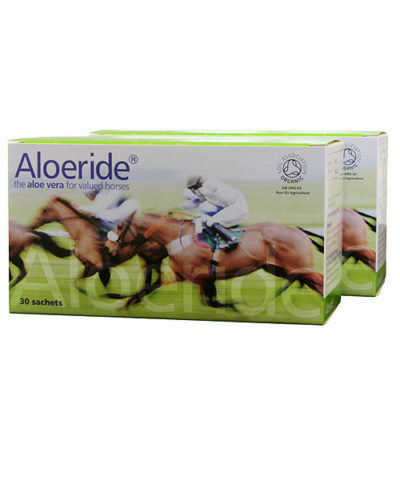 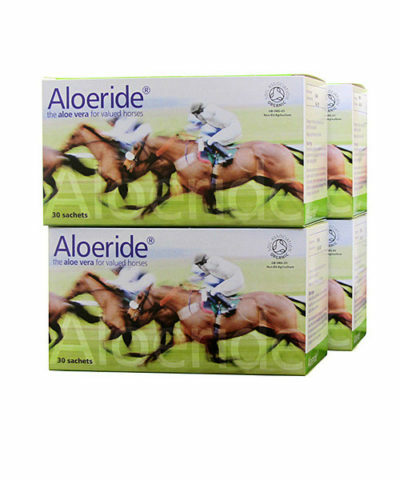 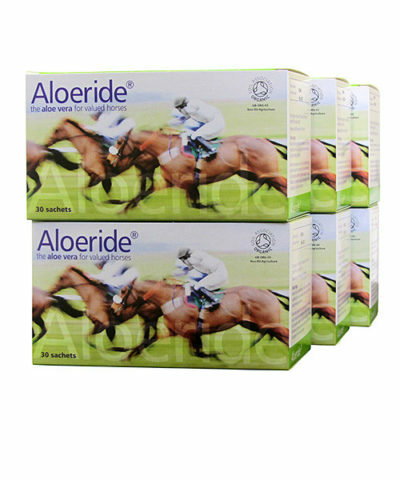 Aloeride aloe vera for Horses strongly supports digestion, hoof health, condition blossoms, movement palpably eases, natural coat shine becomes simply amazing (ditto natural resilience of skin and coat protects against beasties and the weather), often behaviour improves when a horse feels more comfortable. 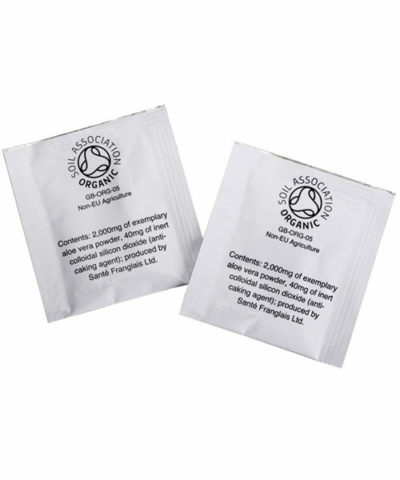 Each carton is made from 12 litres of Soil Association Certified Organic aloe vera juice and contains 30 sachets of 2,000mg (each sachet is 400ml equivalent!) 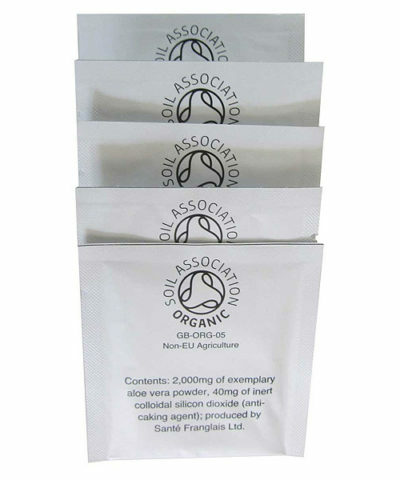 servings of palatable powder. 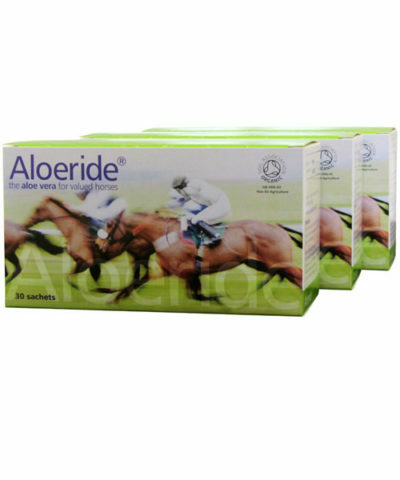 For more information on the use of Aloeride aloe vera powder for Horses click here.